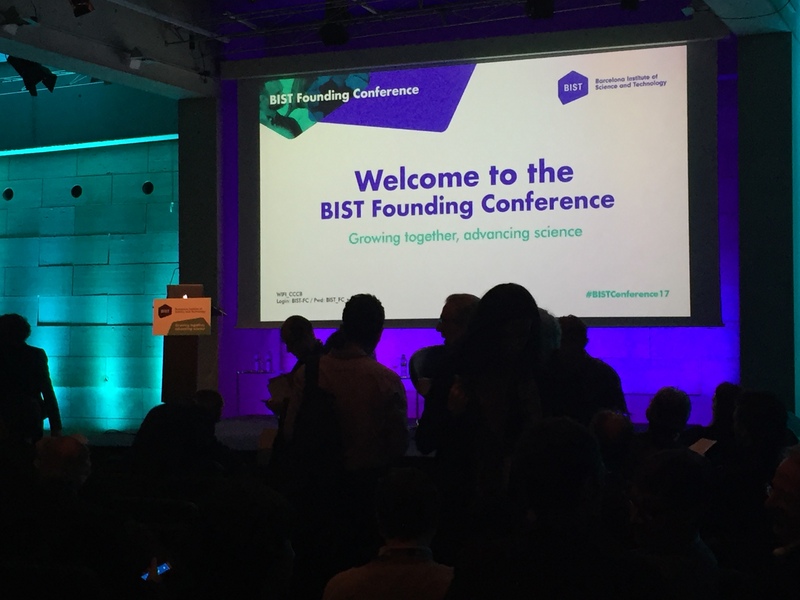 Last Friday we celebrated the BIST Founding Conference, the first international scientific meeting organized by BIST. The conference promoted the debate on multidisciplinary scientific research and its impact on advancing the frontiers of knowledge. It brought together some of the world’s leading experts in the four areas that the BIST has identified as strategic for the development of multidisciplinary projects: chemical biology, graphene, big data and microscopy. More than 300 people attended the event. Prof. Jean-Pierre Sauvage, winner of the 2016 Nobel Prize in Chemistry. 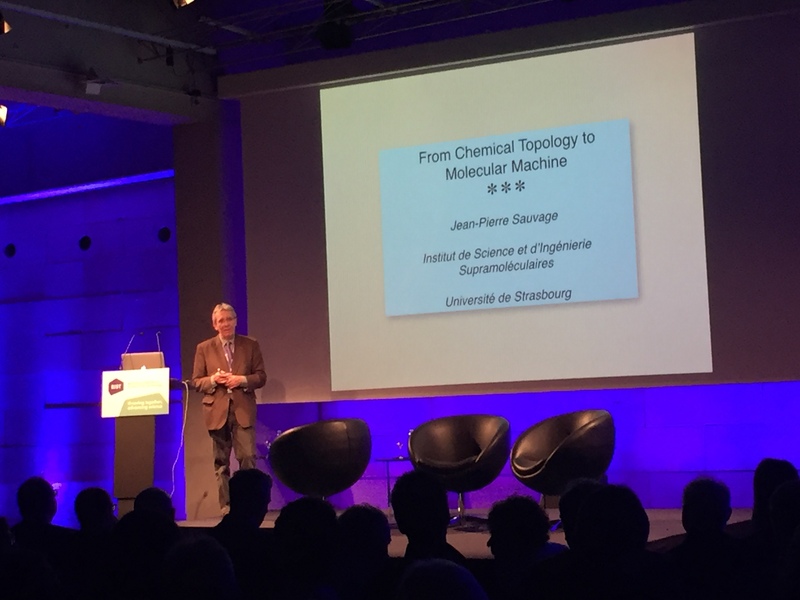 Prof. Jean-Pierre Sauvage, winner of the 2016 Nobel Prize in Chemistry, gave a keynote presentation about molecular machines. A series of dialogues between leading BIST researchers centres and international experts followed. During the meeting, BIST Director Miquel A. Pericàs announced the winners of the 1st BIST Ignite Call. This call awards 20.000€ to innovative research projects that promote collaborations between BIST centres. Among the 5 selected proposals, 2 are co-coordinated by ICIQ researchers: CALIX4TRANS, coordinated by Pau Ballester (ICIQ) and Manuel Palacín (IRB Barcelona) and ZPro, coordinated by Emilio Palomares (ICIQ) and Federico Sánchez (IFAE). CALIX4TRANS will explore the frontiers between chemistry and biology, looking for synthetic materials capable of transporting amino acids and other small molecules across lipid membranes. Hopefully, this research will lead to the development of new drug delivery systems, with a special focus in diseases like cystic fibrosis and diabetes. ZPro will investigate the applications of perovskites in Medicine, more precisely in Positron Emission Tomography (PET) imaging techniques. PET imaging is widely used to detect tumours and metastases, as well as for studying neurodegenerative diseases such as Alzheimer’s and pharmacokinetic studies. Previous research indicates that perovskites may improve the precision of these techniques and reduce the cost of PET imaging.